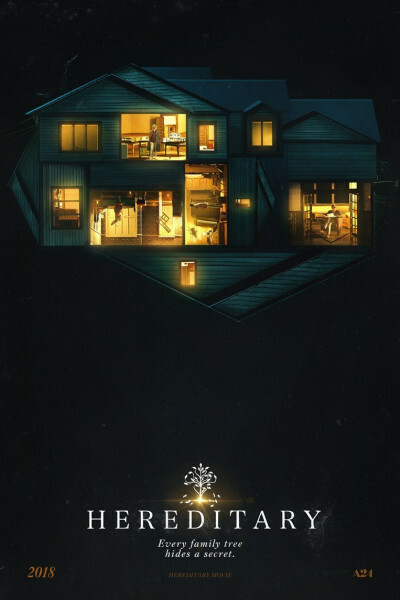 Hereditary perpetrates the worst of all possible movie sins: It is flat-out boring. It is, as Billy wrote, "much ado about nothing," and that's a huge drag, because the film had SO MUCH HYPE! The film plods along for the better part of two hours, telegraphing everything with the deftness of a five-year-old strutting in Papa's pants and boots across the hardwood kitchen floor, striving to come at you like a freight train in the final seven minutes yet generating little more than a collective sigh from the audience. After it was over, the man next to me looked up and asked, "Is that it?" 'fraid so, bro. "Major meh," I thought. We do not have "this generation's Exorcist" or "the new Rosemary's Baby" on our hands. What we do have is hokum, and undelivered promise, and that's a shame.